But now I am back and making again - hurrah! 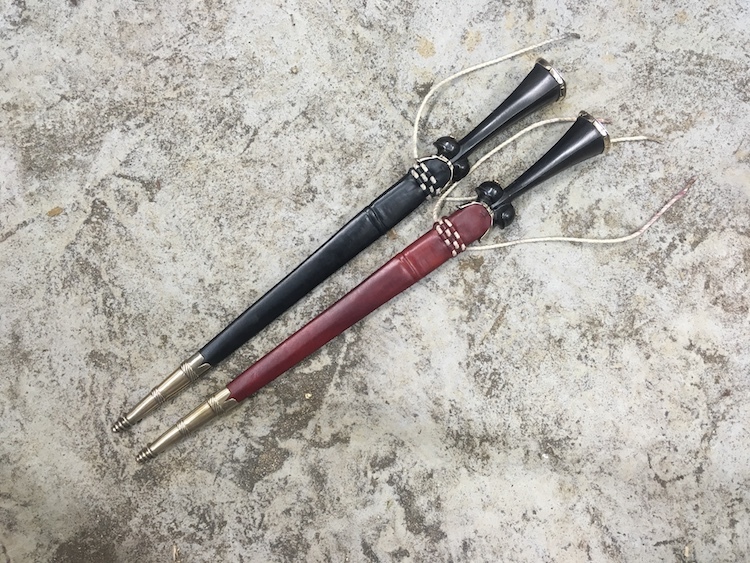 and here are some new pieces; the black scabbard is an order and the red is available for sale. 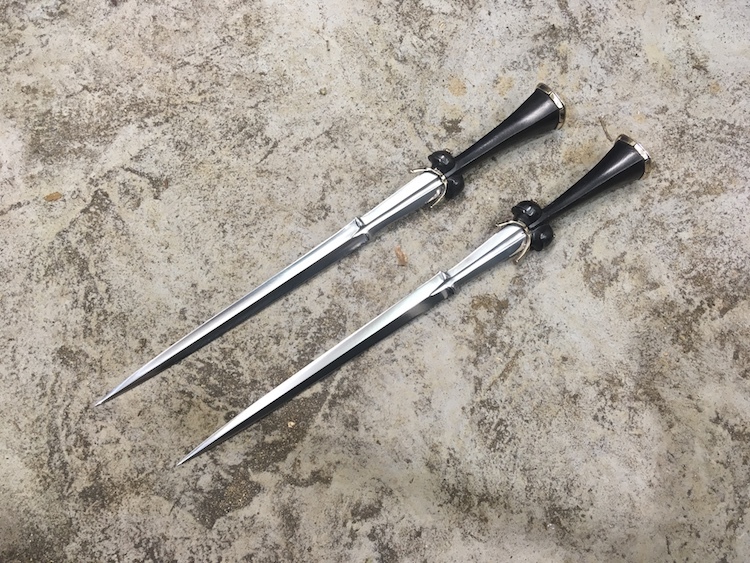 The dagger is based on a piece from The Rothenburg Collection and is one of those mid to late 15thC bollock daggers that are so very elegant and is either French or German. This is a knife perfectly capable of fighting, but perhaps not that resilient as the blade is relatively delicate, but it is certainly perfect for show. 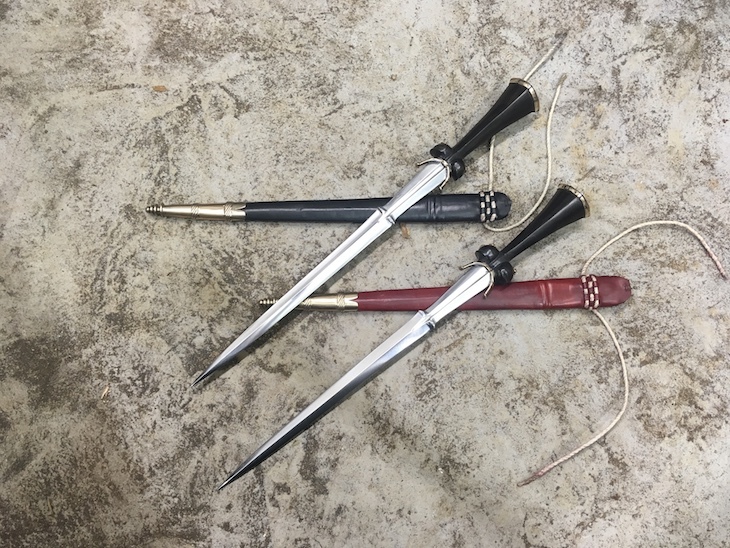 The dagger has two very distinctive features that if not unique are very unusual. The first is the strange step in the blade dividing a ricasso area from the blade proper and the second is the square profile of the grip. 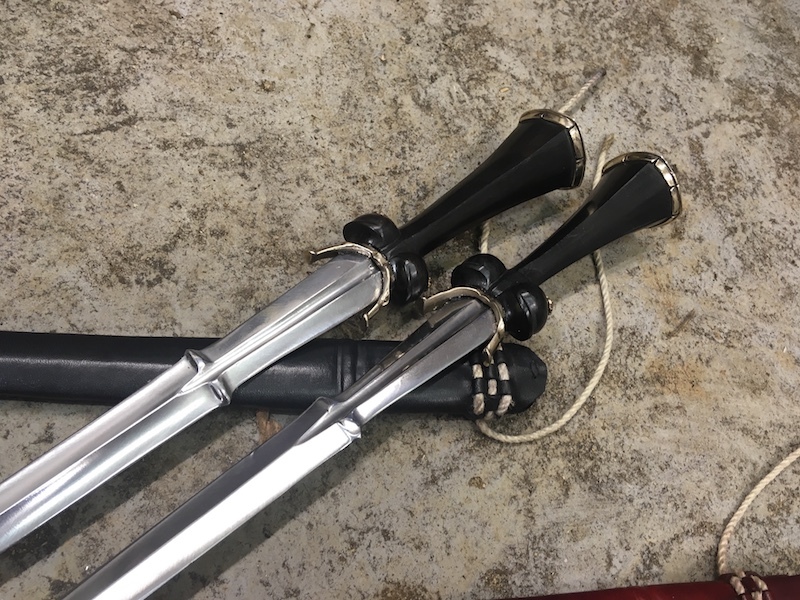 However there are the standard features for higher status daggers at this time, such as the rivets through the balls (no jokes please!!! ), the guard and the pommel cap. 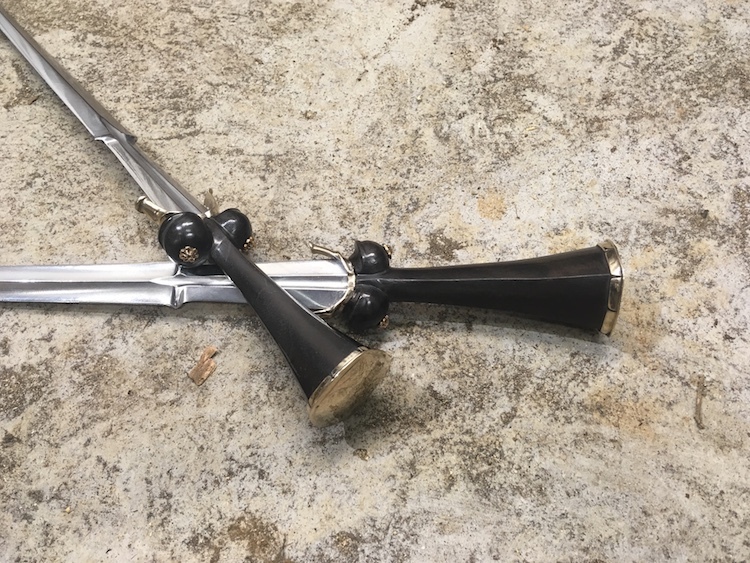 In this case, the grip is in ebony and the furniture bronze and one blade is hollow ground whilst the other is flat ground. 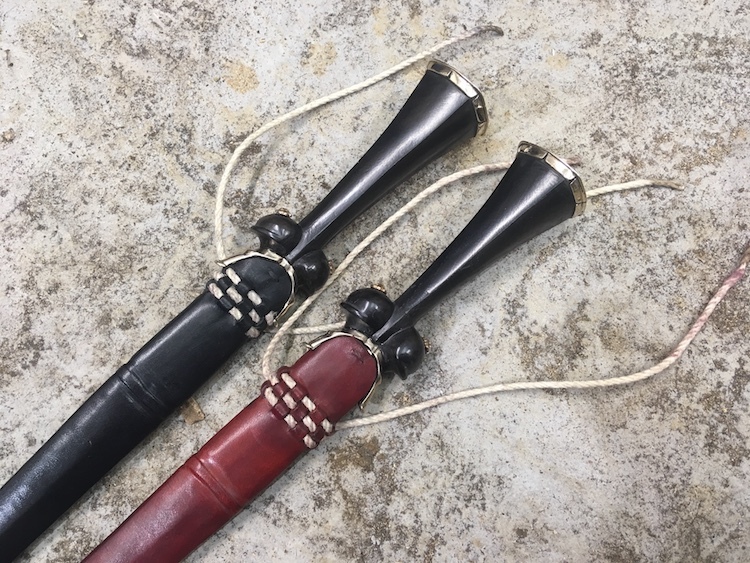 Sheath is in a double layer veg tan with a hemp suspension cord.